New York Jericho has members in the Bronx, Manhattan and Brooklyn. 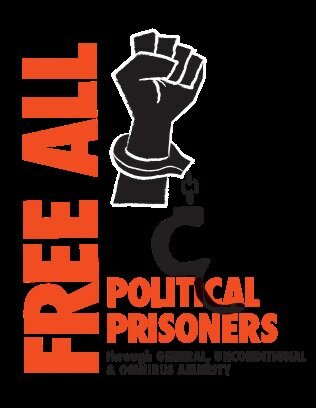 We are a true coalition, as we have members of the Malcolm X Commemoration Committee, the Sekou Odinga Defense Committee, ProLibertad and NYC Free Leonard Peltier, among others. Robert Seth Hayes had his scheduled parole board hearing on June 14, 2016. For the tenth time, the NYS Parole Board has denied Robert Seth Hayes parole, for all the same reasons they have denied him the prior nine times. Seth had a great parole packet with housing, employment, volunteer opportunities, college opportunities, medical support, VA support, family and friends support, financial support. He is a model prisoner, over 65, very low risk rate based on the DOCCS own COMPAS test; he has multiple chronic and incurable health issues and has been locked up for almost 45 years. Despite this, the parole board decided to waste more life, money and resources to incarcerate this man and deny him access to his family and community, who are waiting for him with open arms. Thank you to everyone who has supported Seth and written letters, signed petitions, spread the word, donated money, made calls. We are not going to stop. Seth is resolute and we are going forward with appealing this decision and creating a campaign to reverse this decision. If you know Seth please send him a card or be prepared to support some movement in the coming months! You can read the extremely biased parole board decision here. Jalil Muntaqim's parole board hearing was held on Tuesday, June 21, 2016. We are enraged to report that Jalil received notice on June 28, 2016, that he was once again rejected by the Parole Board. This is the ninth time Jalil has been to the Board, and the ninth time he has been denied, despite having an excellent record and meeting all requirements to be released on parole. You can read the obviously biased parole board decision here. Also, we have received the transcript of Jalil's parole hearing. We highly recommend that you read the transcript. There will definitely be Article 78 appeals of these denials. We will need everyone's help in preparing for the appeals and will definitely be waging a strong campaign. We will keep everyone posted on upcoming steps and actions to take. In the meantime, please take the time to write to Seth and Jalil and them know they are in our hearts and on our minds. There have been several favorable decisions against the parole board recently, one of which can be read here. We will, of course, support Seth and Jalil throughout these efforts to gain their freedom! Jalil has filed a petition with Governor Cuomo requesting commutation of sentence to time served, as it is impossible to have an unbiased parole hearing. He requests that people say in their own words why he should be released using #clemencyforjalil. He would like this to go viral on the internet.